Whether it’s a relationship between lovers, or a parent and child, doctor and patient, or teacher and student, the quality of that relationship—the level of respect we have for one another— becomes startlingly clear when one of the parties says NO. For the Orphan in us saying No can be terrifying. Because No can mean the loss of love, loss of protection and approval of the powerful Other. But for the emerging Visionary saying No and honoring her own deepest truth, can be a breath of freedom. Of course we can’t honor our own deepest truth without doing what it takes to know ourselves. To distinguish between the many shades of orphan-rooted No’s and the calm, clear-eyed No of the Visionary. Then the next step is the delivery. The Visionary in us knows how to say No from a place of caring and compassion for ourselves and the Other. No is also how I get to learn who you are. The tone and wording of my No is the way you get to know me better. The way we respond to each other’s No helps us decide whether at some point the No might transmute into a Yes! Have you needed to say No to someone recently? How did it go? Namaste I am so sorry for your loss and other losses. Wishing you a healthy yes!gutsymama thank you for sharing the thoughtful butterfly story and the explanations after no can give those who want to control leverage and butterflyfaith good luck saying no to the orphans and wonderful about listening to your body before imagery. FearlessRose, just saying yes to avoid conflict is a definite pitfall and and Mermaidmom, congratulations! !Mariamom thank you for your support and great point about saying no can mean respect me and miraculouslife it’s always great to hear from you and wonderful story with Mariamom! Sparxy that is wonderful separating obligation from desire and Annabell, that is impressive saying no to putting your name on that email! heather1975teaching yay to finding your visionary no and Harmonious Life, great point about the orphan sometimes says no to visionary actions. I have been doing allowing my body to direct the movement body truth and Meeting your child Halfway Fertile Heart imagery. I have been trying to listen to my body more. I know my digestive system is challenged right now, but I’m in a situation of going out of town soon and there’s lots to do to get ready. So I am aware of my body’s situation but still continuing to do what I have been doing. 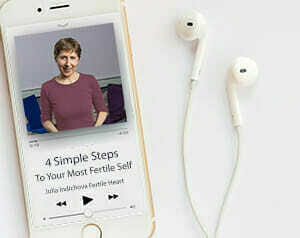 I wasn’t sure, when I really thought about it, that I knew what listening to your body really meant, so I looked up a few ideas online. I took a lot of dance when I was younger and the training that I received was more like act as if it is easy and keep smiling unless your part requires a different emotion. I loved working with my body, but I don’t remember being encouraged to listen to it. My dad sort of instilled in me an attitude of keep pressing forward no matter what, even if you’re not feeling well. I’m working with these things. I’ve said no to a lot of foods since the time I’ve been doing FH. I’ve found that alcohol and caffeine are much easier to give up than chips and cheese. :-) For me the food/nutrition piece has been the easiest part to change on this journey of self-discovery. Most recently, there’s an Orphan for me that is the one who keeps getting told no. I have just suffered my third miscarriage in the last 12 months. These last three losses feel like a huge NO to the numerous attempts we’ve made to get to the healthy happy baby named Yes. It feels like coming in second place for something – you were really great, but… we’ve chosen to give the baby to someone else. I’m in a state of flux at the moment. I’m still recovering from my miscarriage while trying to decide when is the right time to “get back on the wagon.” Perhaps I need to just give myself some time and say no to trying to rush through the healing process. I’ve missed you all on the calls and look forward to connecting with you next week. I was sent this by a friend and it reminded me of why we need the struggle at times and how it can actually strengthen us. It was nice to read. My mind is filing up with alot of “what the hell is taking so damn long”. I loved it. body through that little hole. Then it seemed to stop making any progress. It appeared as if it had gotten as far as it could and it could go no further. So the man decided to help the butterfly;he took a pair of scissors and snipped off the remaining bit of the cocoon. The butterfly then emerged easily. But it had a swollen body and small, shriveled wings. with a swollen body and shriveled wings. It never was able to fly. for flight once it achieved its freedom from the cocoon. what we could have been. We could never fly. Reading the comments again as well as the blog, I realize that I never ever tell my orphans no. I tell them to get lost, I ignore them, I indulge them in all of their destructive behavior so much so that I can’t tell their reality from mine. But I never ever tell them no. Why? Sometimes it feels as if they know best, so telling them no would be unproductive, maybe even disrespectful. Maybe I should run a little experiment. Tell them NO when they tell me I’m too old, too tired, too greedy, too anemic, too undeserving for another miracle. I wonder what would happen then? How upsetting to see that the thought of telling my orphans no is terrifying. But maybe it can be liberating too. I’m at the point now where I have nothing to lose by giving this a shot. Why not challenge the orphans with a loving but firm no? Without explanation? (GM, how I can relate to that! I swear I find myself explaining in detail to my five year old why he can’t play Minecraft all day long. Really? Like that needs defining? It’s just NO because I said so. Because I know what’s best for you. And yet I still do it.) Hugs and love to you all. Thank you for this post! To my Os, saying No is equal to them having to climb a huge mountain that seems impossible to do. However, I have started to do it more this week – inspired by your blog – and realising that I need to be more Visionary with my body child and how I interact with others. I said No to eating something my parents insisted I should eat. I had accidentally boiled a rubber band (around the parsley) in my chicken soup which, when I realised it I did not think would be very nourishing (so wanted to throw it out) – they were very much against me throwing it out, saying “don’t be so wasteful”, “it doesn’t matter, just eat it”. However, I asked them – would you feed this to my little daughter? the admitted that they wouldn’t so I managed to say No by being Visionary. It felt liberating!! I know it sounds like a very small step, but for me it was a big step forwards. I am starting to live a more Visionary life now – even if I know that I have a long way to go yet. But it is the small steps that are becoming important to me now. Thank you for this post – it has inspired the (Visionary) No-sayer in me. I knew that I have to say No more and be in my path, not just say Yes to avoid conflict and then regret it. It has taken a long time to start living my way. I chose to say no to ivf and drugs because it just didn’t feel right to me or my husband. 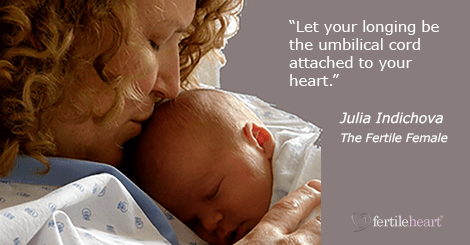 I attended Julia’s workshop last December and gained huge insight and energy to practice wholeheartedly the fertile heart program. I have journaled about my dreams and used my art journal too. I have been better at saying no to anything that does not serve me. Of course, it’s not always easy. I have been so much more aware of what my body needs. I say no to the orphan who wants to convince me to eat unhealthy foods, skip yoga or fertile heart practice. And….. I am now pregnant!! Very early and so very thankful to be in this practice. I’m saying no to the orphan who wants to doubt this pregnancy and recall 4 miscarriages. I’m saying yes to self care and absolutely no to anything at all that does not serve me and my growing fertile heart baby!! That’s wonderful news, please know all of us FH mama’s are supporting you and sending blessings your way. I remember those early days too, I found doing FH imagery to be immensely helpful, especially that first trimester. I will be keeping you my thoughts! Heather1975… Thanks so much for thoughts and support! I keep using 3 steps forward twice a day and yoga with deep breathing for relaxation. Any suggestions for other imagery or body truth I should do? Trying to take one day at a time and put up my shield of protection, say no to those doubting orphans as I enter my 5th week. I’m resistant to seeing my ob-gyn because I’m saying no to being a statistic and I might get told all those numbers and nonsense all over again. I will practice the shield imagery during my first ob gyn appointment as needed! It helps so much to know there’s this community of support, kind words, and safe place to share. I’m saying no to doubt and fear this time around! I’m in a wonderful place… Right where I should be, no matter what! Mermaidmom I worked with FH imagery CD 2 , disk 2 specifically the First nursery, It’s all Good, Blanket of Reassurance and CD 3, Council of Babies and Tree of Faith and Surrender.I did very, very gentle yoga nidra from a DVD called Yoga and Meditation for fertility by Kat Atkinson. I also downloaded a song I loved that I played whenever those orphans popped up to redirect my thoughts. Wishing you blessings! Mermaid, that is wonderful news! Good for you and congratulations! I am so happy for your sweetest news!! First, congratulations and hang in there! I was in the same December workshop as you and I remember you! You were sitting right across from Julia. I was sitting may be 3 or 4 mommies on your right. I wanted to write a comment sooner! This is so exciting. We have one of our fellow workshop mammas also on the US visionary circles. You are the second or possibly the third snowflake from our December workshop. Wish you the best on your journey and congratulations on becoming your own authority and choosing your own path for your journey. I remember your comment about your creative activities when you posted on the miracle blog post that Julia made after our workshop. Feel free to drop a comment when you feel like it, or listen in/participate on the visionary circle if you think that may help you. I know couple of expecting mommas have joined in the last few months. You are already continuing to do the imagery and healthy eating, so keep it up!!! I have heard expecting mommies doing more of the 9 hearts imagery. I find many insights when I am browsing even randomly FH blog posts or forum threads. The blogs go back to up to 2009 and forums go back much longer than that. I also congratulate you on mustering the courage to share your news on the blog. We are all here to cheer you on! You will be in my thoughts and will inspire me. Saying no can be difficult for me. I want to be liked and approved by people. I want to have peace too though. I have found saying no can feel very liberating. Finding a way to know it was the best choice for me rather than worrying about what others think. One thing I have noticed though is when I say “no” I follow it up with an explanation. I have found myself explaining my actions when really I dont need to. Part of it I think is me at work and I want my patients to understand things so I explain explain explain. I also reconzie it as an orphan. It is like I need to say no but “hey here is why” just so you dont hate me too much for saying it. I am working on saying no and just leaving it at that when appropriate. Julia, I can so totally relate to this. I used to feel so bad about saying No and then I hated myself for saying Yes. My FH practice was what got me out of that rut and for that I’m incredibly grateful, I worked with Learning How to Ask over and over until I finally got it that saying No in a nice way was actually about learning how to ask to be respected. That was one big aha moment for me that came directly from that imagery. Sparxy, I hear you when you say this “Why is saying No so scary? And so guilt-inducing? A person I used to work with who was actually really cruel to me just texted me wanting to “catch up.” I don’t want to talk to her. But I felt bad saying No. Why? It doesn’t make sense.” Julia actually answers your questions right on the blog. The Orphans are not sensible. That’s what some of the specific brilliant imagery medicine did for me and also the Body Truth. It let me actually experience the orphan and the Visionary who feels what Julia says in this blog. “For the Orphan in us saying No can be terrifying. Because No can mean the loss of love, loss of protection and approval of the powerful Other.But for the emerging Visionary saying No can be a breath of freedom.” This stuff works because it’s not as Julia sometimes says about just “mindf****ing yourself with these questions, but actually and I quote our fearless leader again, “living your way into the answers.” Julia used to say this on the calls all the time, it’s not about skipping imagery. I guess my aha moment came when I got to appreciate how fabulous this work really is. But I also get it that it’s not for everybody. I have friends who have been asking me about this for years but wouldn’t go near it. I stopped pushing them. If it’s not for you, then say No and just walk away. Maybe come back when you feel more desperate. I can totally relate to that too. That’s what it took for me, desperation. Okay I’m sorry I don’t get to hang out here too much, but my FH miracle babies are growing up and need me. Thanks for the great blogs, Julia!!! Baby dust to all!!! For most of us on this journey, we always need Visionary mamma like you to chime in and give hope. I will keep doing the same thing. Dear Miraculouslife, I am so very sorry for not replying to this earlier. Of course I remember you, I don’t remember that exact thing I said to you but I remember reading your comments and trying to say the right thing. It’s so great to hear that you’re a mama. I bet you are an AWESOME MAMMA!!!! Good for you for doing what you’re doing. I know so many of the mamas that were on the calls and had babies and never showed up here again. It’s just sad, that’s all, that the minute we’re not hurting anymore, we forget what that felt like and we forget that somebody showed up for us like Julia’s been showing up all these years. Okay, I better not let my orphans get too self-righteous over here. Congratulations, it keeps getting better and better. Thanks for remembering to say hi to me. This blog also resonates with me – and I really love your comment GraceLife. I want to emulate how you are living now. Why is saying No so scary? And so guilt-inducing? A person I used to work with who was actually really cruel to me just texted me wanting to “catch up.” I don’t want to talk to her. But I felt bad saying No. Why? It doesn’t make sense. I loved our call on Monday. Butterfly and I are like sisters separated at birth. I’m the exact same – I do things because they will get me a baby. After Julia talked with Butterfly, I started doing some things differently. Doing them because I wanted to, not because I felt obligated. Some days, that does not include imagery, but hopefully it will the more I listen to myself. I actually pulled out my old rosary (lapsed Catholic here) and said a rosary just because I’ve been feeling for so long that I wanted to. Separating obligation from desire shouldn’t be so difficult, but it really is. I feel the same, sister mama! Sometimes I have to check the name on the comments to see who wrote it–me or you. ha ha. It’s so funny you mentioned the rosary. I’m a Catholic too (although not the best–I don’t even know how to properly say a rosary). At Mass on Sunday, our priest was talking about praying. Since I’m having such a crisis of faith in all life arenas right now, I was interested in how he would spin this. And you know what? It actually made so much sense and totally echoed the FH call! Amazing. Our priest said that when we pray, we tend to do a lot of talking. But you can’t hear squat when you are running off at the mouth, right? So when we pray, we need to get quiet and listen too. It totally reminded me of how Julia is telling us to take 5 minutes and just sit, listening to our bodies, before we practice. And it’s something I just do not do, ever. Why is that I wonder? I related so much to your last phrase, about separating obligation from desire. I realize that sometimes days will go by and I have done everything out of obligation. Nothing because I wanted to. And the worst part is, some of my choices are, at the core, ones that could spark desire in me, but I look at them through my orphan glasses, so it all seems like a big chore. Happy that my comment connected with you Sparxy :) I’m also a catholic but married to a Hindu. And my parents make a big deal out of it. for eg: my mom will call me every Sunday to ask me if I went for mass. Had I been married to a catholic she would not have bothered so much, but now she is insecure. Unfortunately she does not know [or want to know] that my husband allows me complete freedom to practice my religion. And irrespective of whom I would have married, I am more spiritual than religious. Earlier I would lie to my mom and say yes, even when I didn’t go to church. Because I go when I feel like. Now I just tell her No, I didn’t go. I rather be honest with her. I prefer going to church when it is empty, not during mass. I have also on a couple of occasions done my imagery in church :) just after saying the rosary. It is a wonderful experience. Gracelife, I actually love that idea! Sitting in church when Mass is not happening, and then doing my imagery then after praying or meditating, sounds like exactly what I need right now. I’m going to try that. Thanks for the idea! I never thought I had a problem saying no. I tell my kids that a zillion times a week and feel good about it. Because I know I’m doing it for their own good. But telling myself no? Telling myself to say no to the orphan-rooted behaviors and thoughts? Yeah, that’s not happening. Why? Good question. I realize if I treated myself the way I treat my kids, things might be quite different in Orphanland. Like so many of us, I want to be liked, so have definitely had lots of times where I’ve said yes to people, even though inside I was saying no. I think living with a man who is much better at saying no is rubbing off on me a bit though. And I really respect him for sticking to his guns (sometimes a bit too stubbornly!) and not just being a people-pleaser, and am realising that can actually be an attractive quality to have. Recently my downstairs neighbour (with whom I am friends) asked me to join her and the other couple who live in our building in signing my name to what I thought was a pretty accusatory email to someone else who lives in our building (we are just 4 flats). While this other person has been driving the rest of us mad, I found the tone of the email inappropriate (and was likely to make this rather difficult character become even more difficult), and I refused to put my name to it. I could tell my neighbour/friend was surprised and a bit annoyed, but I didn’t really care, as I was clear in my mind about where I stood. I wonder if I would have found it so easy to say no had it been one of my really close friends asking. I am going to keep strengthening this muscle, as I believe it’s an important one. Wow does this blog hit me…NO is a word I struggle with. As a child apparently it was my favorite. As I grew and desperately wanted to feel loved and accepted I became a people pleaser and removed the word from my vocabulary. I finally found my voice when I got pregnant and said NO to certain procedures and suggestions. Keeping NO in my vocabulary is something I work on every day. As my orphans start popping their heads up like prairie dogs I have to keep working with my Visionary. I am learning to say NO at work as well and like everything else it takes daily practice. I have been doing Defend and Receive Fertile Heart Body Truth and Meeting Your Child Halfway Fertile Heart imagery. I have been trying to figure out what is standing in the way of what turns me on in life (sometimes dancing, singing and art among other things) and some of it is like Gracelife, the procrastinator orphan (finding other things to do rather than what I really want to do including take care of myself). I used to never say no to anything because of fear of lack of approval but also perhaps feeling disappointed that I might miss out on something. I still wrestle with this. It is very hard to say no to my daughter because she can be extremely demanding so you have to draw the line in the sand and decide, as her therapist says, which hill you want to die on. Right now I want to say no to my procrastinator orphan (I really didn’t think I had one of these, but apparently I do, because even though I get things done in a timely way in most areas, there are some areas of huge resistance. One is sorting through my belongings. I am going out of town for a bit so am spending time planning for that, but when I get back I will be gaining skills saying no to other commitments so I can focus more on that. Thank you for this blog post. Nice to hear from you, Gravid Sans Doute. I too was a bit confused at first and Gracelife’s comment helped me understand the context better. I too have suffered from not being able to say No many times. And I have done so at the cost of displeasing people that are more close to me or count on me. I have often found it difficult to be more loving and compassionate to my loved ones than strangers or people I barely know. As I find myself consciously wanting and being militantly on my own side with this practice, I am learning to be on the side of my loved ones more than others. There’s another side of this post that was interesting to me -that the orphan actually saying No to many the good things in life. For new ventures, new relationships, new projects. There’s a part of me who wants to explore, and a part of me that starts something new but then leaves it half way through and a part of me that is terrified of doing something new/changes. I was lucky that when the orphan wanted to say no for me to do a presentation at my company’s hosted event, I let the visionary shine through and say Yes. I do remember saying No to a new friend who I was supposed to meet yesterday. I hesitated to say No but I am glad I said No and requested her to first talk on the phone. We enjoyed our phone chat and promised to find a time/place to meet in the coming days, now that we understand better what kind of activities we may enjoy. Thank you Julia for your continued guidance on the phone circles. I feel good when I think of ‘what turns me on’ in the middle of my day when I remember that exercise from the last circle. I picked the ‘Doorway to the expert within’ imagery. Still struggling with body truth, hoping to utilize the weekend to get back on track there. I also picked ‘Choosing Life’ at first, but it looks advanced for me, so i switched. it’s beautiful though. Interesting perspective there HL. The orphan saying no to the good things in life. More power to the visionary in you to accept new things that you feel drawn to. Oh my! What timing. For me the past week or two has been all about saying no and discovering how much I resist it.The orphan who is always looking for approval from others, bargains with the visionary to justify why she needs to say yes. I also discovered that my dear husband suffers from this same syndrome, always wanting to please people who matter to him, to a certain extent. But I beat him to it. Saying no has been revealing to me. I’m seeing how brave, vocal and assertive I can be. And also how people start to treat me differently once I start responding to them differently. We teach people how to treat us and some people are really surprised with the woman they are getting to interact with these days. At times the expression on their face is priceless..they are wondering where is that docile, submissive girl who always who was so easy to manipulate. But I don’t blame them. Because I taught them to treat me that way. So the dynamics of the relationships will change but only get better in most cases, I hope! Also saying no to the little orphan who thinks of a 100 other things to do when it’s time for practice or for yoga.